PHOTO BY MARK CHAMBERLIN The Scofflaw is going for the authentic speakeasy tradition -- if the two red lights outside the door are lit, you know the bar is open. The establishment incorporates an Italian-influenced menu, and has curated a cocktail menu that will change every few months. The current menu features the West Egg. PHOTO BY MARK CHAMBERLIN The Scofflaw is going for the authentic speakeasy tradition -- if the two red lights outside the door are lit, you know the bar is open. The establishment incorporates an Italian-influenced menu, and has curated a cocktail menu that will change every few months. In the 1920's and 1930's, the historic building at 3001 Monroe Avenue was rumored to have been a brothel and speakeasy, long before the days of People's Pottery and Pittsford Wegmans. The building was built in 1820 and later served as the location for the Spring House restaurant for many years. When Katherine Mott and Kenneth Nozik took over the building in 2009, they completely renovated it and opened Monroe's Restaurant; Mott also ran a bakery on the bottom floor. After learning of the rumors of the building's scandalous past, Mott decided to open a speakeasy on the bottom floor, where the original was said to have been. In December 2015, The Scofflaw opened its doors. 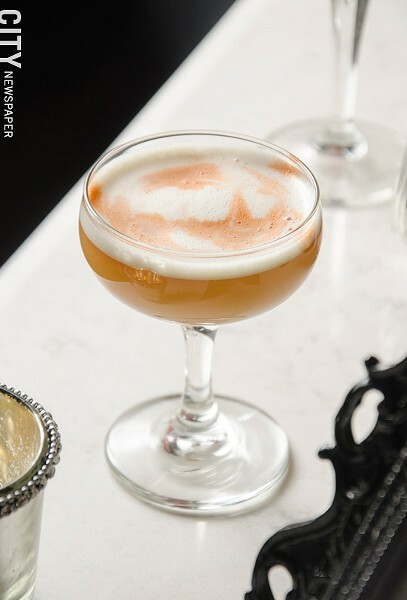 The term "scofflaw" originated during prohibition, and The Scofflaw cocktail made its debut at Harry's Bar in Paris in 1924. Mott researched the history of the speakeasy, as well as the trend of speakeasy-type bars opening up in bigger cities, like New York City's PDT (Please Don't Tell), which you enter by going through a door in a phone booth in a hot dog restaurant. 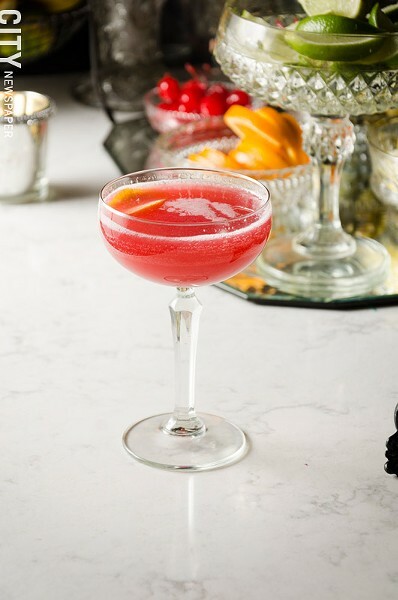 At Rochester's Scofflaw, there are two red lights outside the door, and if they're lit, you know the speakeasy is open. Mott eventually wants to move to a password-only entrance; you'll get a daily password by going online or calling. 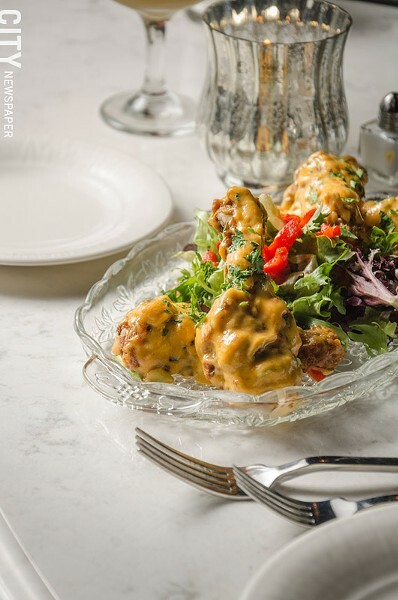 The menu at The Scofflaw is Italian-American influenced, but it's completely different from the menu upstairs at Monroe's. 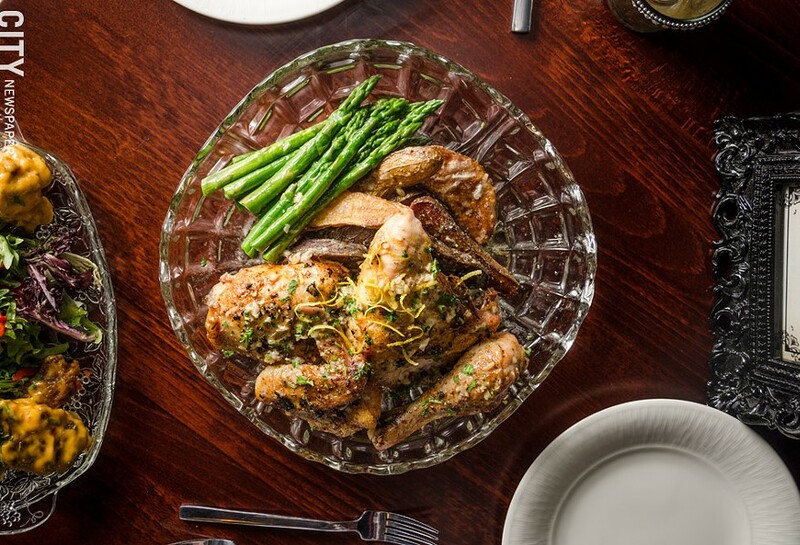 Executive Chef Andrew Vaccaro is turning out dishes like smelt, fried in a house batter and served with lemon aioli ($9); duck wings served Sicilian or garlic parmesan style ($11), and tripe, served with a spicy tomato sauce with red peppers and onions ($18). Those looking for lighter fare will find an assortment of salads, flatbreads, and sandwiches. Nathan Bash and Peter Mulconry have curated a cocktail menu that includes classics like the French 75 and Sazarac, as well as their own creations that include the Ritz and Rubes made with genever, Grandma's Jam, Aperol, and champagne ($10), and the Machine Gun Kelly, made with gin, green Chartreuse, basil, lemon, and simple syrup ($10). The cocktail menu will change every few months. The Scofflaw is located at 3001 Monroe Avenue. It's open Thursday through Saturday from 5 p.m. to 2 a.m. It's also open Monday through Wednesday for private events only. 348-9103. Information: scofflawbarlounge.com. The Daily Refresher (293 Alexander Street) will host Luck of the Irish... Slainte! on Tuesday, March 1 from 6 to 8 p.m. Guests will learn how to make cocktails focused on Irish spirits and learn about Irish themes and cultural influence. Tickets are $40 and are available on eventbrite.com. The Roc City Hot Sauce Fest will take place on Thursday, March 3, at 6 p.m. at the Burgundy Basin in Pittsford (1361 Marsh Road). Guests will sample homemade hot sauces from competing local restaurants and have the opportunity to vote for their favorite. Presale tickets are $20 ($25 tickets at the door), and can be purchased by calling 678-4817 or emailing rochesternysra@hotmail.com. The event is hosted by the Rochester Chapter of the New York State Restaurant Association. Cider Creek will host a Sour Apples Cider Tasting at the Tap and Mallet (381 Gregory Street) on Thursday, March 3, from 6 to 9 p.m. Four sour ciders will be on tap and 5-ounce flights will be available for purchase with a cheese pairing. Representatives from Cider Creek will be at the event to answer questions, and Kevin Collins will give a talk on how the ciders were made at 7 p.m.
Love in a Dish: A Good Luck Brunch will take place at Restaurant Good Luck (50 Anderson Avenue) on Sunday, March 6, at noon. The brunch is part of the Inspired Table Series and focuses on the works of celebrated food and service writer Mary Frances Kennedy Fisher. Tickets are $45 and include a family-style brunch, cocktail bar, tax, and service. Purchase tickets at inspiredtable.restaurantgoodluck.com. Speedy Slice (256 Webster Avenue) has opened. A division of Salvatore's Old Fashioned Pizzeria, the pizza shop offers whole pies, slices, and wings. RocPaintSip (1350 University Avenue) is now open, offering painting classes paired with wine, beer, and snacks. More information can be found at rocpaintsip.com.